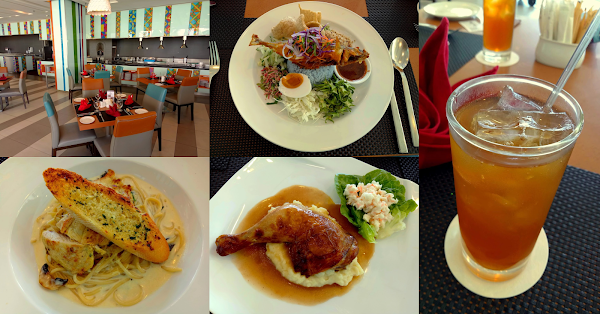 Special thanks to Mercure Penang Beach for extending this food review invitation. Mercure Penang Beach is AccorHotels' first property in Penang. This new beachside hotel belongs to the same parent company as Novotel Taiping. 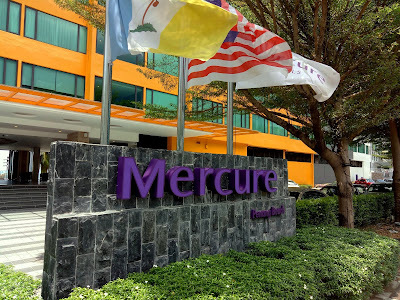 If Mercure Penang Beach looks familiar to you, this is because it occupies the former location of Four Points. 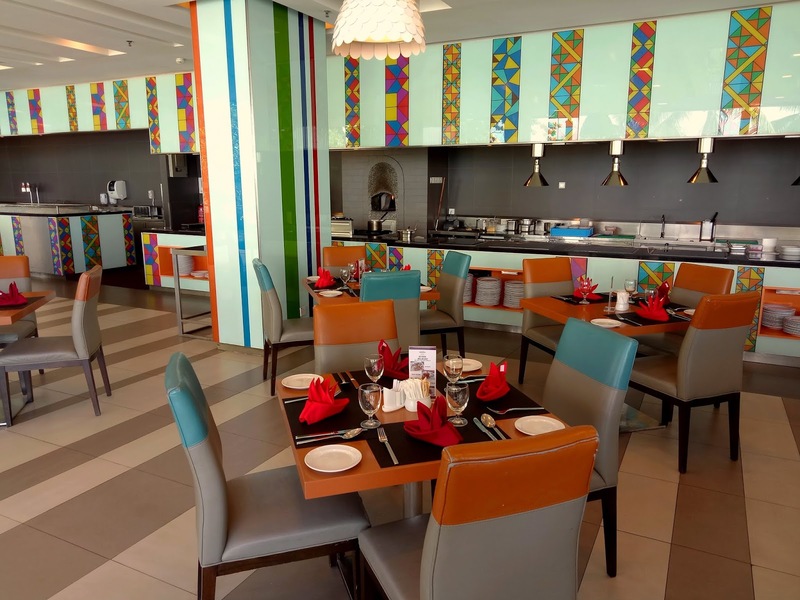 Situated on the ground floor, The Ombak is the hotel's all-day dining restaurant. This is also where in-house guests are served breakfast. While the restaurant is air-conditioned, it offers al fresco dining too. The Ombak commands a nice view of the sea; it is certainly not called "Ombak" (wave) for nothing! 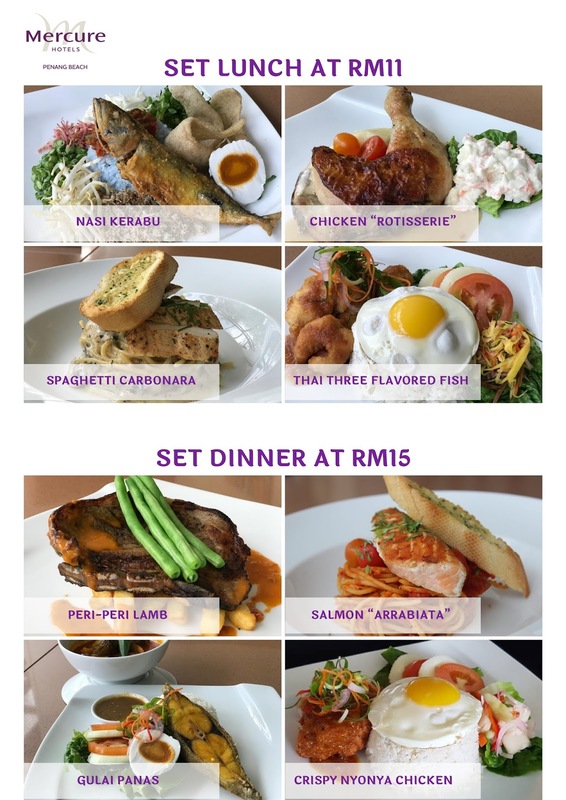 The Ombak currently serves daily set lunch and set dinner. 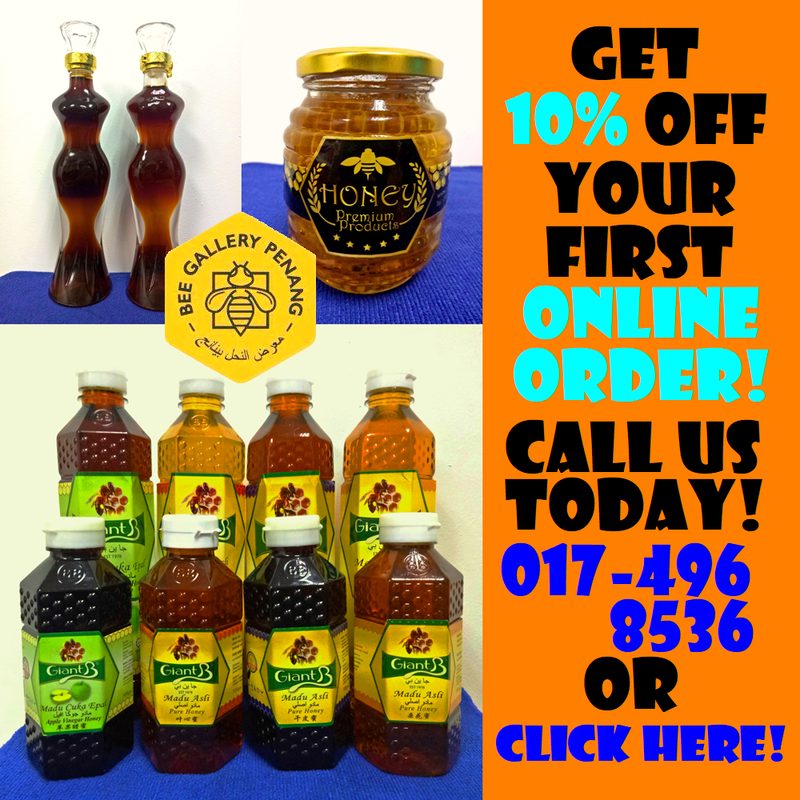 Priced at RM11.00 and RM15.00 respectively, the meal includes a glass of iced lemon tea. There are four dishes per menu; the actual dishes will be revised from time to time. I am reviewing three of the four lunch choices today. Hailing from the east coast of Peninsular Malaysia, Nasi Kerabu uses rice that is dyed blue with bunga telang (butterfly-pea flowers). 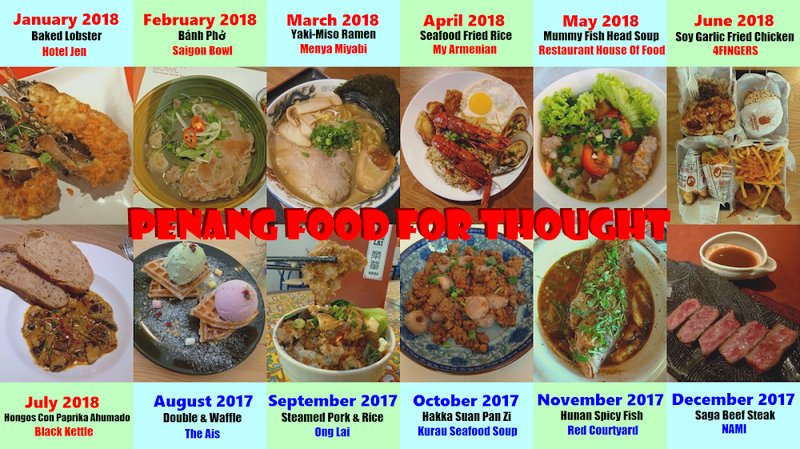 The dish also comprises of ikan kembung goreng (fried mackerel), salted egg, kacang botol (winged beans), yardlong beans, bean sprouts, cucumber, cabbage, bunga kantan (torch ginger), kerisik (coconut butter), keropok (crackers) and sambal (chili sauce). 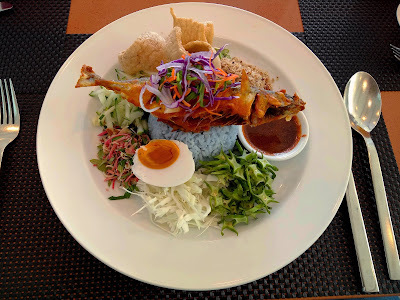 Nasi Kerabu is seldom served in restaurants due to the tedious preparation process. 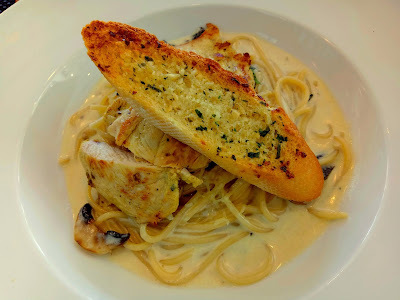 As for something Western, Spaghetti Carbonara is a great choice. Pasta is sautéed al dente and served with creamy sauce. Portobello mushrooms also lend their lovely savoriness. The dish comes with a generous portion of grilled chicken breast. As for garlic bread, I appreciate the strong taste of garlic butter. Diners who prefer poultry can go for Chicken Rotisserie. 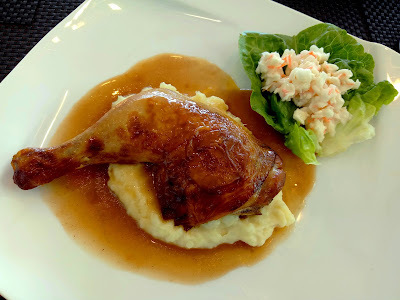 Roasted to golden perfection, chicken leg au jus is presented on a bed of mashed potatoes. The grainy consistency of mashed potato is delectable indeed. Meanwhile, coleslaw on the side serves as counterbalance to this savory dish. 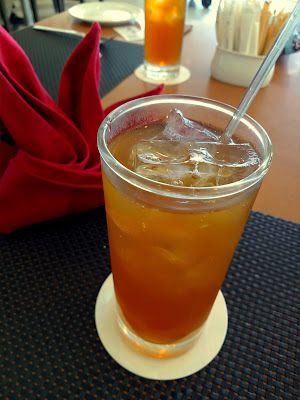 As mentioned earlier, each dish comes with a glass of iced lemon tea. In effort to reduce plastic waste, all properties under AccorHotels have stopped providing plastic straws when serving drinks. Considering the great food taste, large meal portion, air-conditioned setting and ease of parking, I must say that a meal at The Ombak is quite a bargain! Directions: Mercure Penang Beach is located along the main road between Tanjung Tokong and Tanjung Bungah. Driving from Tanjung Tokong, turn right at the traffic lights when you reach the hotel. The Ombak is located next to the lobby. There are parking spaces in front of the hotel.